The chocolate chip cookie was really good. The shop is cute and cozy too! Delicious cookies... especially the peanut butter ones! Pricing may scare some off, but sandwich portions were very large and tasty! The one down side is the lack of available parking. Sandwich was great! Salad was a bit lackluster...and there was no kale as advertised. Chocolate chip cookies was tasty as well. Must go back for the delicious chocolate chip cookies! The staff are super nice and patient! I love Uncle Chip's cookies. They are fantastic! The cashier (owner, I think) was very welcoming and friendly. I plan to go back. the cookies were amazing. the service was also excellent especially since I had accidentally clicked on the done portion of the redeem side even though it wasn’t done. overall two thumbs up. also a great gift to bring. 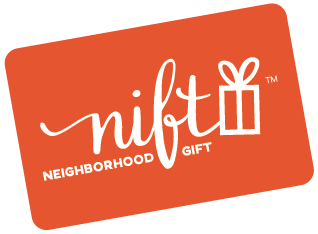 I love that Nift is giving me a chance to try small, local businesses that I wouldn’t have otherwise! It’s easy to use and all the businesses have been super friendly and welcoming! Loving Nift!! The pastries at this location are always fresh and the service is quick. Great experience - great food, nice owner! The best muffing that i never ever taste! I went on a Saturday and the person who waited on me was very friendly. I order the Tex Mex salad, sweet tea and double chocolate chip cookies to go. When I got home I enjoy my meal especially the cookies. The sweet tea was just sweet enough. I would recommend to others and I will be back again. The chocolate shortbread cookies were amazing! The Havana was the best sandwich I’ve ever had in my life! So much good about it. The tender and tasty pork was just perfect! Unfortunately, I can’t eat much bread but if this pork was served in a salad, or if this restaurant sold salad in general, they’d have a regular customer with me. I’ll be back for sure. Very cute spot in NoMa and delicious cookies! Great products and friendly service! Cookies great very good , will be coming back to try a sandwich. chocolate chip cookie was great!